01 مقدمة الوعد الحق Your browser does not support the audio element. 02 مرض الموت Your browser does not support the audio element. 03 الوصية Your browser does not support the audio element. 04 1 علامات السّاعة الصّغرى Your browser does not support the audio element. 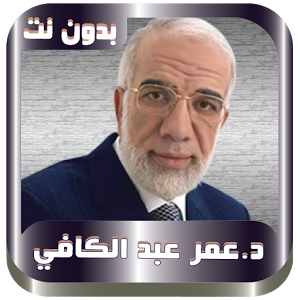 05 علامات السّاعة الصّغرى 2 Your browser does not support the audio element. 06 علامات السّاعة الصّغرى 3 Your browser does not support the audio element. 07 علامات السّاعة الصّغرى 4 Your browser does not support the audio element. 08 علامات السّاعة الصّغرى 5 Your browser does not support the audio element. 09 علامات السّاعة الكبرى 1 Your browser does not support the audio element. 10 علامات السّاعة الكبرى 2 Your browser does not support the audio element. 11 علامات السّاعة الكبرى 3 Your browser does not support the audio element. 12 صفات النبى صلى الله عليه وسلّم Your browser does not support the audio element. 13 وفاة النبى صلى الله عليه وسلّم Your browser does not support the audio element. 14 حسن الخاتمة Your browser does not support the audio element. 15 سوء الخاتمة Your browser does not support the audio element. 16 أوّل المنازل 1 Your browser does not support the audio element. 17 أوّل المنازل 2 Your browser does not support the audio element. 18 موجبات عذاب القبر 1 Your browser does not support the audio element. 19 موجبات عذاب القبر 2 Your browser does not support the audio element. 20 المنجيات من عذاب القبر 1 Your browser does not support the audio element. 21 المنجيات من عذاب القبر 2 Your browser does not support the audio element. 22 هول المطلع Your browser does not support the audio element. 23 الحشر Your browser does not support the audio element. 24 الصِّراط Your browser does not support the audio element. 25 الحوض والشَّفاعة Your browser does not support the audio element. 26 المبشَّرون بالنّار 1 Your browser does not support the audio element. 27 المبشَّرون بالنّار 2 Your browser does not support the audio element. 28 دركات النّار Your browser does not support the audio element. 29 وصف النّار 1 Your browser does not support the audio element. 30 وصف النّار 2 Your browser does not support the audio element. 31 وصف النّار 3 Your browser does not support the audio element. 32 لها سبعة أبواب 1 Your browser does not support the audio element. 33 لها سبعة أبواب 2 Your browser does not support the audio element. 34 مفاتيح الجنّة Your browser does not support the audio element. 35 أبواب الجنّة Your browser does not support the audio element. 36 نعيم الجنّة Your browser does not support the audio element. 37 أهل الجنّة Your browser does not support the audio element. 38 عباد الرّحمن Your browser does not support the audio element. 39 النّظر لوجه الله الكريم Your browser does not support the audio element. 40 كلمة الختام Your browser does not support the audio element.